I will be designing the app and web side of this brief. 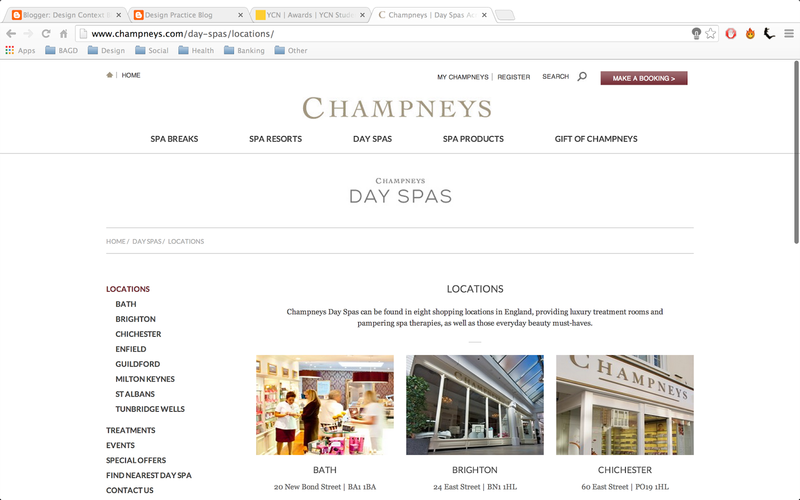 So, to see the style I'd need to stick to, I'm going to look into Champneys' existing web site design, then over in a practice post, I'll dissect the layout, to see if there is any existing design I could incorporate. The homepage of the website. The theme which runs throughout the website is a very clean design. It's a relaxed calm environment, which reflects the practice which the business offers. The website also uses breakers, in the form of light weight strokes. The website seems to run consistently throughout, maintaining the same theme. 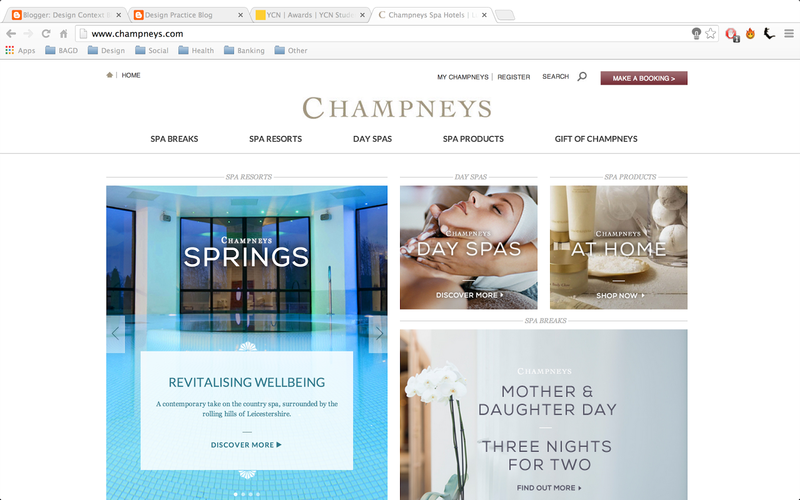 Apart from the logo, Champneys seems to use a gothic font throughout it's website, for all it's copy and links. I'll need to retain this information when selecting the fonts for the app/web proposal. 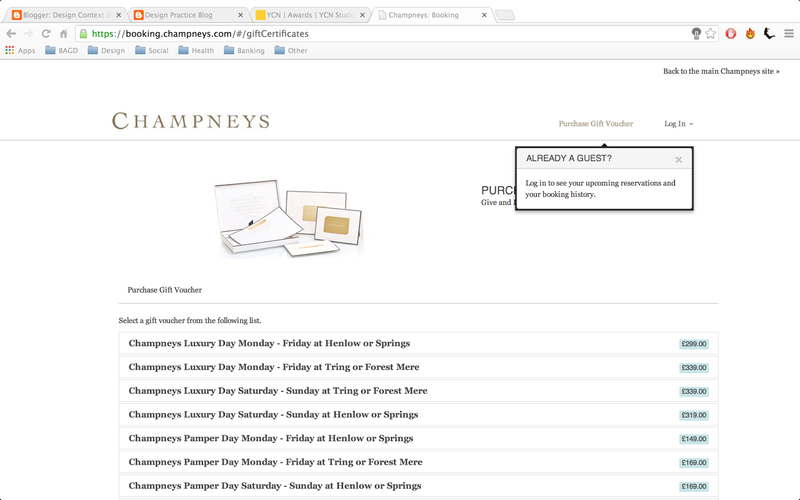 Apart from the logo, which is a gold colour, Champney's website doesn't use any colour, only black and white. It almost looks tranquil, the lack of colour, sophisticated, minimal, relaxed. It's almost you you try to imagine when you're clearing a headache. The worst part of the website, where everything seems to go out the window, is the booking form. It seems to throw the existing grid system, and use a centralised column with some prices, blue buttons to highlight the prices. Almost like it was designed as a last minute edition.